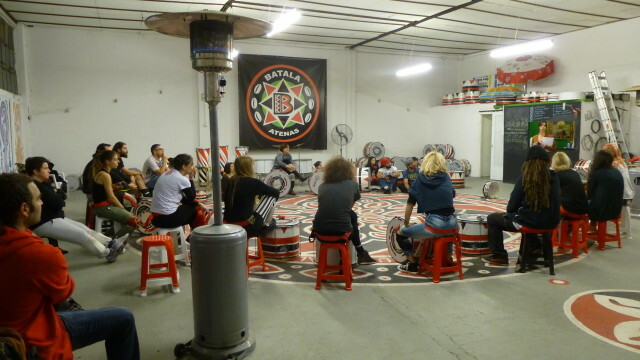 Batala Atenas, drumming group. Weekly rehearsal. November 30, 2014. 6:30pm. Batala Atensas, ομάδα κρουστών τυμπάνων. Εβδομαδιαία πρόβα. LFEO in Athens, MIRfestival. Preparing for 11 intrusions throughout the city – with slightly adapted text. 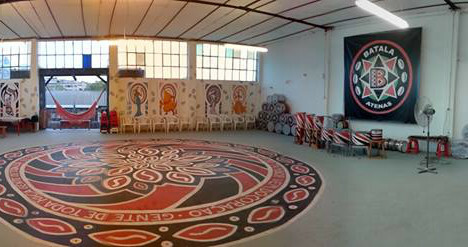 Tonight first one at Batala Atenas drumming group. Greek version by Matina Pergioudaki.